This year’s event will be a real treat for foodies and Star Wars fans alike. Drawing inspiration from the beloved characters, worlds and stories, the chefs at Disney’s Hollywood Studios have created a whole host of gourmet bites just for the occasion! 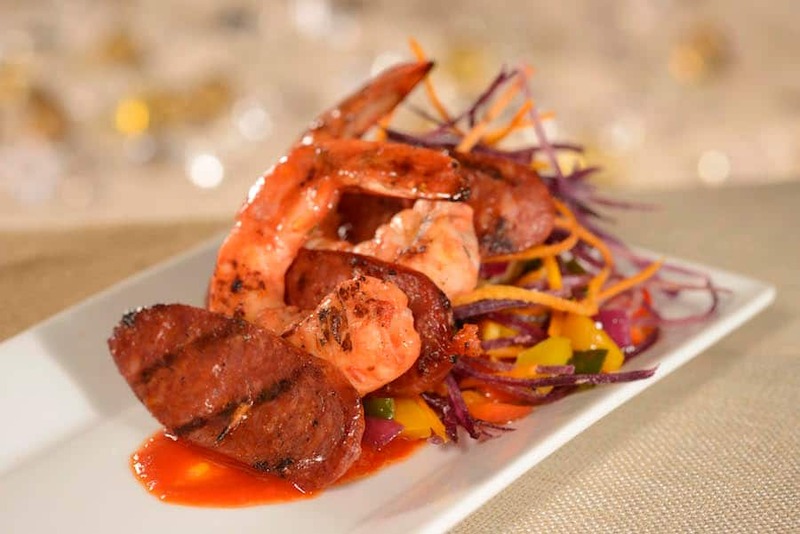 New on the menu this year are items such as the Shrimp and Chorizo Skewer. A tribute to the hearty appetite of the Wookiees, this generously-loaded skewer is complete with Chorizo sausage, sweet potato hash and shrimp. Other new items include the Tatooine Bisque, inspired by the sandstorms and moisture farms of Tatooine with rutabaga, turnips, carrots and parsnips; and the Sweet and Crunchy Popcorn, which is based on the iconic garbage chute scene in Episode IV! 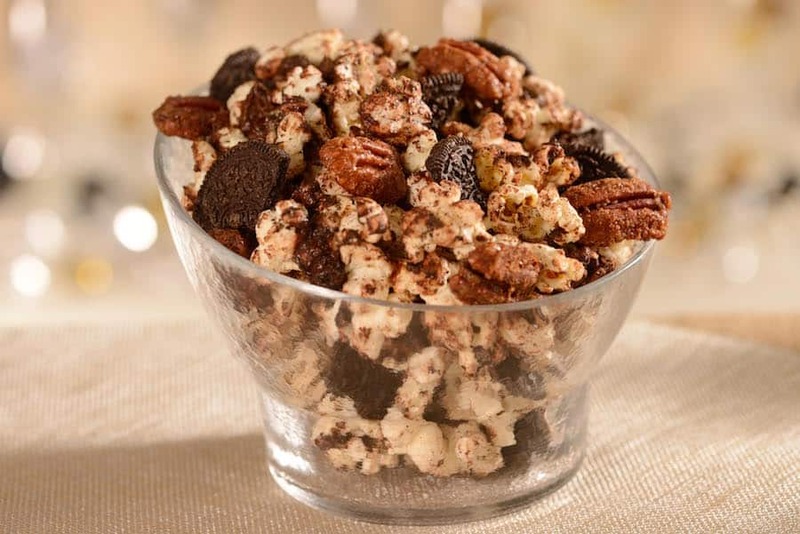 This popcorn comes loaded with cookies, caramel, chocolate and pecans. Returning this year are fan favorites, like the popular Lightsaber Churro! 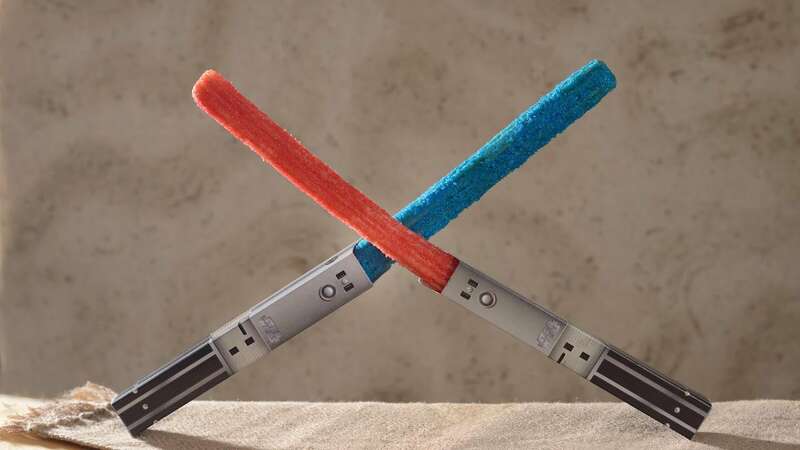 Choose between the Light Side and the Dark Side with these Lightsaber-themed churros, offered with red or blue sugar and a Lightsaber Hilt. 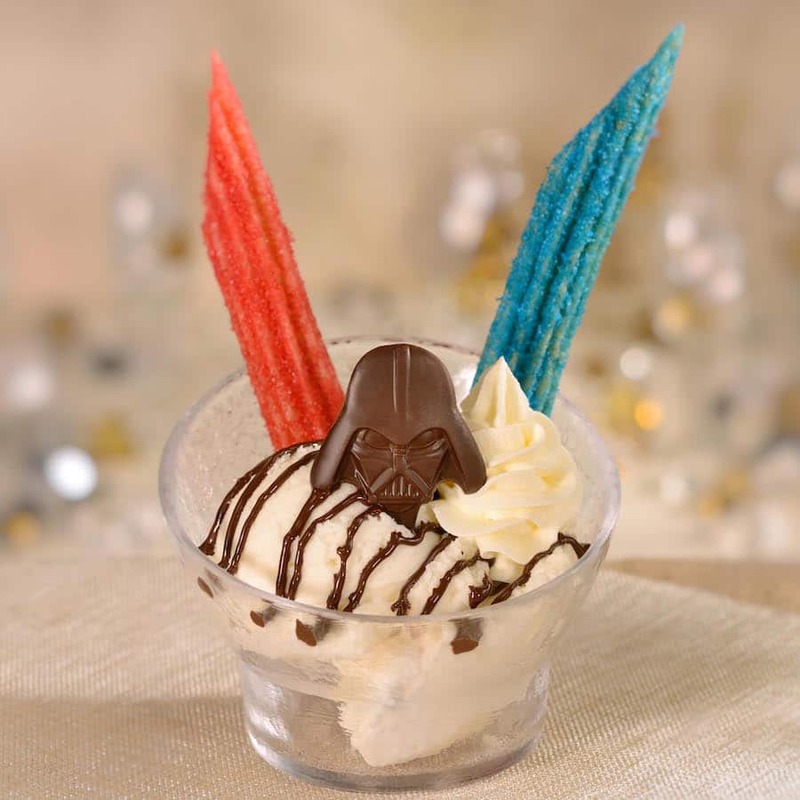 Or let the battle begin with the Lightsaber Churro Sundae, a vanilla ice cream sundae topped with chocolate sauce and red and blue churros. 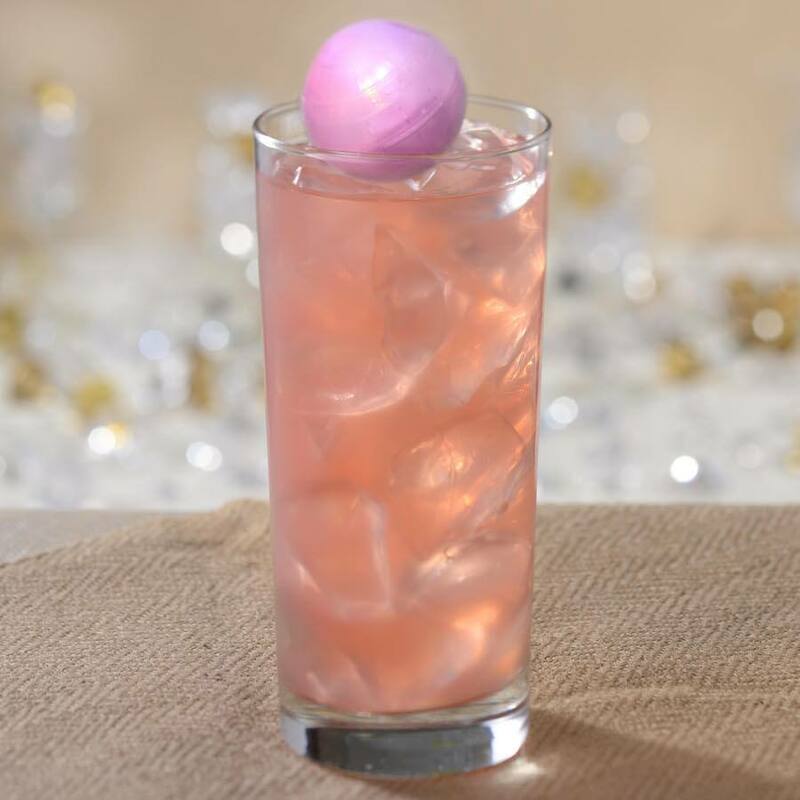 For the beverages, cool off with the classic Jettison Juice, a refreshing watermelon lemonade served with a Death Star Glow Cube – good for all ages! For the adults, try the Skywalker Wine Flight. Straight from Skywalker Vineyards in Marin County, California, this flight consists of Sommità Chardonnay, Pinot Noir Rosé, and Sommità Pinot Noir. And this is just the beginning! For a full list of all the exciting food and beverage items that will be offered at the event, check out the Star Wars: Galactic Nights website. Get ready to jump to hyperspace as you navigate the galaxy to find all the galactic goodies available this year, because these are bites you won’t want to miss! Now, if you’re looking at these items and just can’t decide on one dish, try the Galactic Tasting and Viewing Package! With this sampler package, you can taste a selection of five items – with up to 25 different specialty items and beverages (alcohol included) to choose from. In addition, you can also use this sampler for any Disney Dining Plan Snack-eligible items throughout the park. 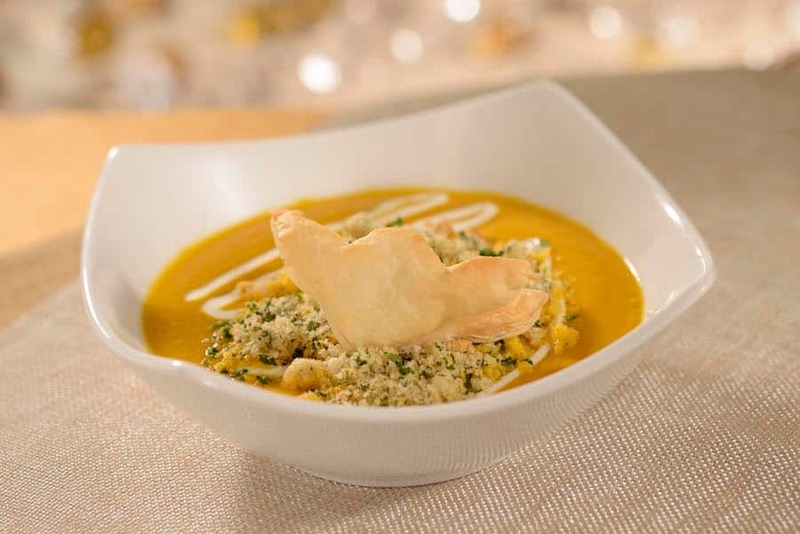 You can book the Galactic Tasting and Viewing Package online or call 407 WDW-DINE (407 939-3463). Remember, these special Star Wars-themed offerings are exclusive to this event, so purchase your tickets today for Star Wars: Galactic Nights if you want to get in on the action! This event will take place on December 16, 2017, from 7p.m. to midnight at Disney’s Hollywood Studios. 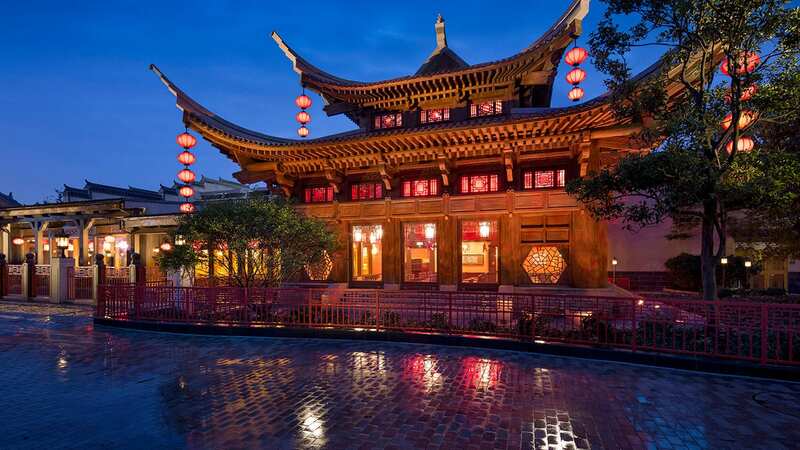 Discounts are available for Annual Passholders and DVC Members. Call 407-W-DISNEY (407 934-7639) for details and reservations. “Don’t play with your food. Don’t play with your food. Don’t play with your food.” — every mom. “I give up, just take my money.” — every Disney mom. The website doesn’t say what the viewing portion of the Taste and View package is. Do you get reserved space to see things at the event? Hi Thomas! The package will include reserved viewing for one of the Inside the Saga: A Galaxy in the Making shows at Epic Stunt Theater. 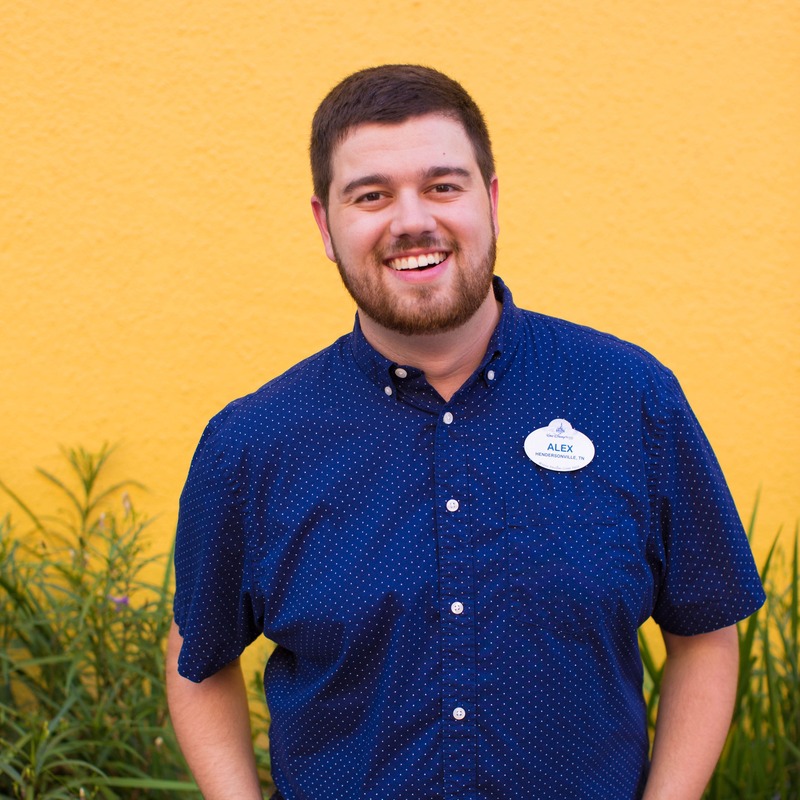 Guests will receive a show time when they pick up their package credential.